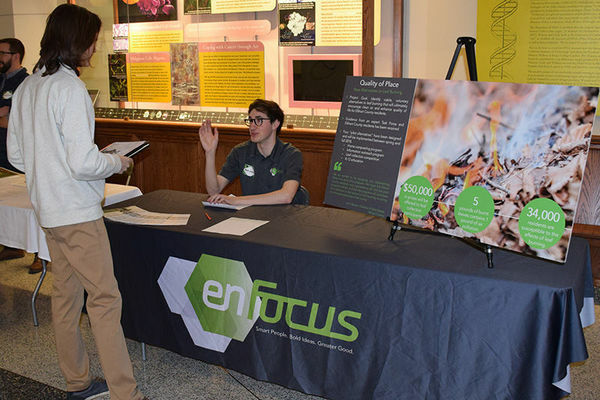 Nearly 100 students turned out for the annual Sustainability Expo on Monday, Feb. 11. 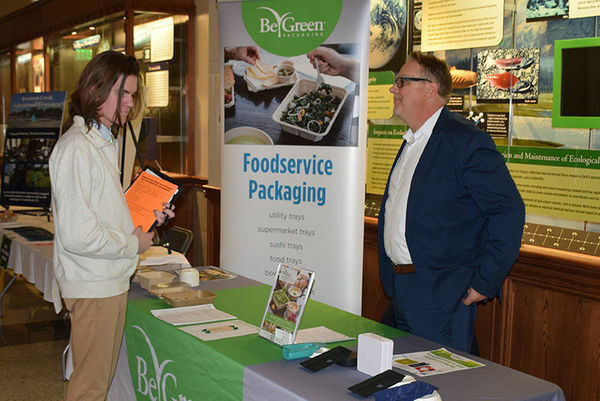 This year’s event marked an expansion for the expo, offering resources about career opportunities in energy, the environment, and sustainability studies for both undergraduate and graduate students. 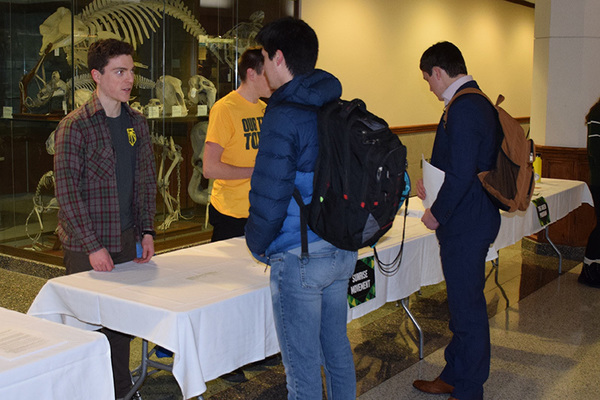 Despite the event being rescheduled from its original date, due to the University’s weather closure, over 40 participants filled the Galleria in Jordan Hall of Science to share information about their respective companies, academic programs, research groups, or service organizations. 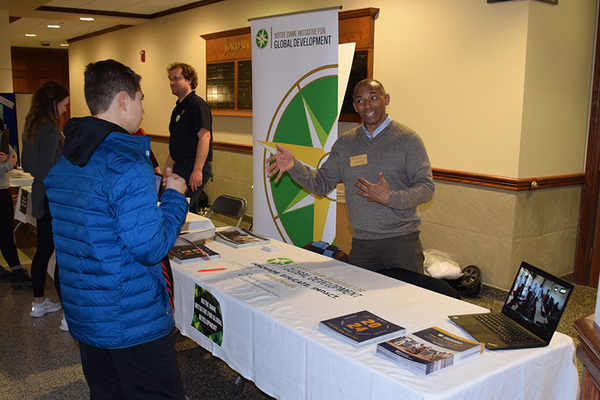 The wide range of opportunities drew a diverse group of students, as over 30 academic majors and minors were represented by those in attendance. Still drawing a larger percentage of undergraduate students, all students made connections and gained additional knowledge of opportunities and resources available to them. Even one student attributed her connections to discerning her major. 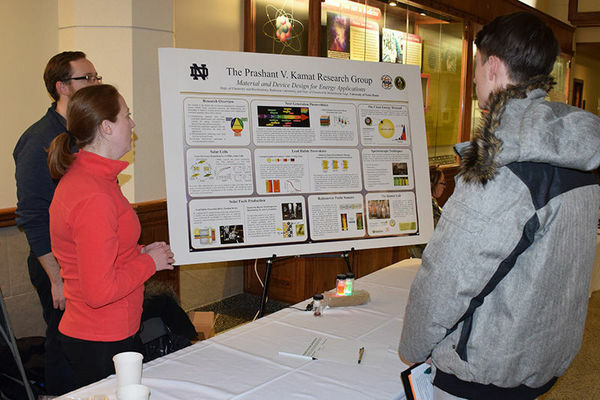 The Sustainability Expo was organized by the Center for Career Development, Center for Nano Science and Technology (NDnano), Center for Sustainable Energy at Notre Dame (ND Energy), Environmental Change Initiative, John J. Reilly Center for Science, Technology, and Values, and Minor in Sustainability. Originally published by Barbara Villarosa at energy.nd.edu on February 22, 2019.